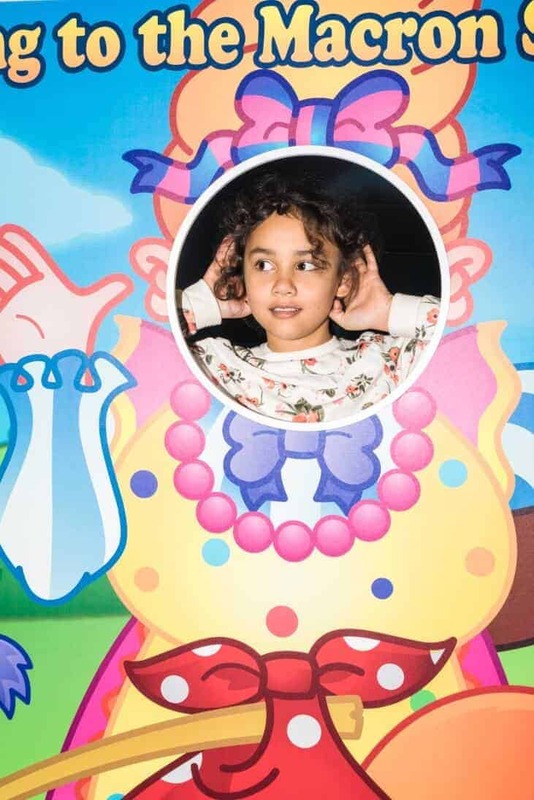 On Tuesday my family had the opportunity to attend The Big Bolton Pantomime, Jack and the Beanstalk hosted in the Premiere Suite at the Bolton Macron Football Stadium. We had a wonderful evening and plenty of fun. We collected our tickets at the Bolton Whites Hotel and walked around to the Premiere Suite. The show began with the Introduction of the Cabbage Patch fairy played by Chelsea Halfpenny from BBC’s Casualty. The Cabbage Patch fairy introduced us to a number of interesting characters. Jack and Princess Jill, Dame Dolly Dumpling, Baron Von Tightwad and Silly Billy. We loved the show. There were some really funny scenes which had me, Sylvia and my husband John in stitches. We especially liked Dame Dolly Dumpling and Mirfin the dim wit played by the Patton Brothers. There were some fantastic little songs sung and we especially liked the part when a large sack came down from the ceiling each time the brothers sung in a high voice, this was very entertaining. It was fantastic and all the kids were shouting and interacting throughout the show. Jack and the Beanstalk was fun to watch, full of jokes and funny catchphrases. I loved Silly Billy played by Tam Ryan. He did a fantastic job especially in the second half of the show. Another fantastic part of the Pantomime was the fabulous dancers from Dawsons Dance Academy. They performed some brilliant sequences in fantastic costumes and were fun to watch. This was a truly traditional pantomime and the show had a female act for Jack (Rochelle Ayris) and a male actor for the dame. There was a lot of opportunity for traditional audience participation with the “oh no he isn’t”, “oh yes he is” scenarios, shouting “he’s behind you” and lots of booing when the evil Baron Von tightwad came on stage. We throughly enjoyed the show. 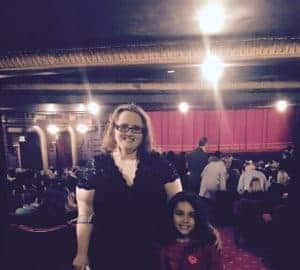 I particularly loved that the show was set up with plenty of spaces at the front for special needs and disabled children so they could really enjoy the Pantomime. This really touched me as my own brother is special needs and so I came away with the impression the Pantomime company really do care about others. At the end of the show, the children were able to meet the actors and get their Pantomime programs signed and that was really fabulous! We enjoyed the show and would certainly recommend it to anyone living in the North West. 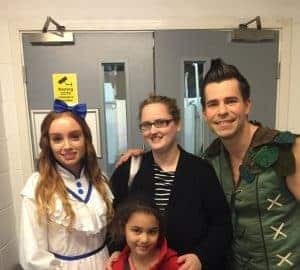 Sounds like you and your family had so much fun watching the pantomime, I have never been to Panto before and really hope to do so one day soon. Yes, This was a fab show. Pantomimes are great- we really do enjoy them! Thanks for stopping by Miranda! 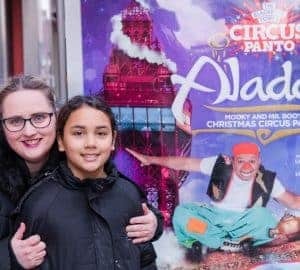 I’ve not been to panto for years, and wanted to take N this year. But many of them round by us are too old for 4 year olds, and the only one suitable is so expensive because kids pay adults price too. Maybe next year. I think the ones we went to would have been great for a 4 year old but maybe my daughter is the perfect age for this one! It was brilliant and she loved it! Maybe next year will be great for your child when N is older? Wow it sounds like you had a fantastic time. I love a classic pantomime tale and Jack and the Beanstalk is no exception. Thanks I’m glad you love the photos and a Christmas Eve panto sounds fantastic. I hope Monkey loves it! Oh they do cost a lot. I’m grateful to have been given the opportunity to review this in return for the tickets. Yes it was wonderful! A real fun experience! Thats for sure! thanks. I was going by the program guide on the night but have adjusted. The dancers were fantastic! Thanks. Yes it was lovely to meet the actors and anyone was able to d so, no exceptions!